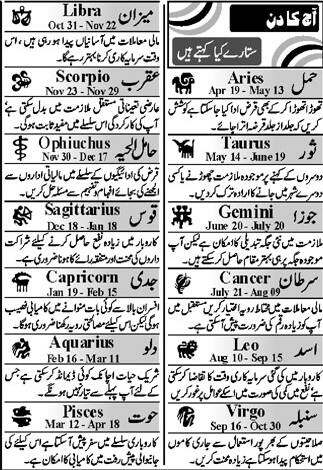 Urdu Horoscope: Today!!! What the stars say? Today!!! What the stars say?